SC Magazine Australia/NZ / White Papers / Okta / Why Choose Okta vs. ADFS? You’re moving towards Office 365 and you want true single sign-on and secure authentication using AD for users. 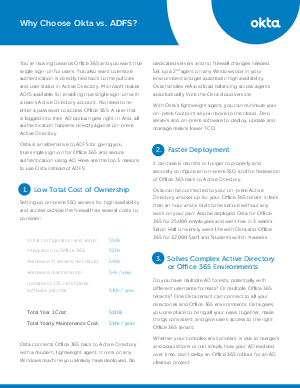 Read this eGuide to learn the top three reasons to consider Okta instead of Microsoft’s ADFS.